Jadielady: YAY I can has concert times! YAY I can has concert times! (basically, Godsmack with the lead singer from Ugly Kid Joe). I was actually pretty impressed with Another Animal. Great energy, fun times. Plus I had a huge crush on Whit Crane back in my middle school days). 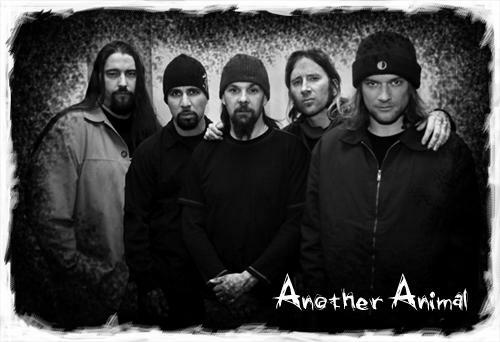 I was really looking forward to seeing Alter Bridge. As much as I got absolutely sick of Creed thanks to the constant radio play around here, I love Alter Bridge's sound, and Myle's Kennedy's voice is just amazing. 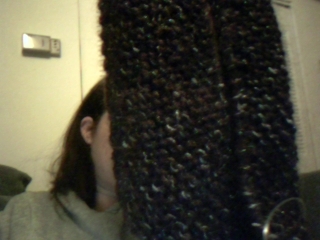 Its actually purple... with a purplish glittery yarn running through it. And though you can't tell in the photo, its knit on the bias. Very nice. Glad to hear you enjoyed the show. We're trying (and have been trying for many years) to bring a greater variety of shows to Lynchburg, rock and others. Its not as simple as just calling the agent and booking it. Thankfully, L'burg has been responding well to the more recent rock shows, and that gets back to the agents. Its a snowball effect. Thank you for support the show; thats the first step to getting more! Does this mean you're knitting something for Cattle Annies? Does this mean you're knitting something for me?